The rise of radical Islam has produced complexities within the Islamic faith. It has not grown without greatly impacting all Muslims. ISIS represents an interpretation of Islam that the vast majority of Muslims do not accept. However, they must now grapple with hard questions about their faith. While it is true that ISIS represents a twisted interpretation of Islamic theology that is rejected by most Islamic authorities, they do point to commands, verses, and traditions within Islamic history and theology that are, at the very least, problematic. Most people divide Muslims into Sunni, Shia… or Westernized. ISIS is a movement of Sunni Muslims, and the Shiite hate them. So let’s look at a couple of countries with a Shia – not Sunni – majority. According to a recent study by the Pew Research Center, 14% of Nigerians are favorable to ISIS, 66% unfavorable. In Malaysia, 11% are favorable and 64% are unfavorable. In Pakistan, 9% are favorable and 28% are unfavorable. The good news is, the majority of Muslims in these countries oppose ISIS. But here is the point. Combine the favorable…. And the sympathetic or undecided…. And you’re talking about millions actively or tacitly supporting terrorism. ISIS and the rise of radical Islam is not like a terrorist group or terrorist cell. It’s impossible to tell who of the millions of sympathizers will become radicalized. It’s a movement driven by their interpretation of their faith. President Obama said the day before the Paris attacks that he believes ISIS is contained… and he continues to deny the role of radical Islam in terrorism. Sorry, Mr. President, but ISIS is not contained… and Islam does have something to do with terrorism. We cannot afford to keep pretending that all religions are created equal. As genocide against Christians escalates in the Middle East, Africa and elsewhere, many Muslims are accepting Christ as their personal Savior. Martyrs have been powerful witnesses for Christ since the start of the church. When I speak at churches, I usually hold up Fox’s Book of Martyrs and other similar books that tell the story of Christians dying for their faith -and how the good news of Jesus Christ spread. Here is one current example, Daniel Shayesteh. Daniel was raised a Muslim, was part of the Islamic revolution in Iran in 1979. The army overthrew Mohammed Reza Shah, the king of Iran, in the Islamic Revolution of 1979, and Shayesteh became a political leader helping to institute the rule of Sharia law. He was captured and put in prison, which he describes as “a painful place, a place where you beg to die.” Even as he waited in a cell on death row, expecting to be executed, God providentially stepped in. “I had been told for 32 years that Christianity was the worst religion in the world,” he says. But while in Turkey, a business partner stole an investment. In tracking down his money, people at a Christian Church offered to help him. What did he find? Love. And a complete different view of God. He accepted Christ and discovered that he could have freedom from his past, from a god that instilled evil in the world and from a religion that left him cut off from his Creator. Through his ministry, Exodus from Darkness, thousands of Muslims have been led to the Lord. 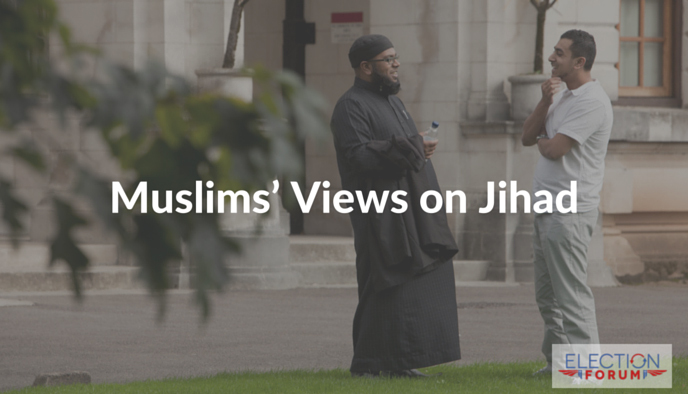 Many Muslims are disillusioned with Islam and primed for the gospel. He now heads a ministry leading Muslims to Christ. Have you prayed for revival-here and in the Middle East? Have you prayed for ISIS, ISIS leadership, and their salvation? Have you prayed for the Muslims in your neighborhood? This is just part of a 1300 yr old dispute in Islam – The conservative purist have always targeted the liberal. Perhaps the best example is the Moor’s in Spain. Conquering much of Spain they were lenient on Christians and Jews…alcohol was allowed and many other concessions made. When King Ferdinand and Queen Isabelle began to push to take pack land the Moors were not prepared and began loosing so they called on their N African brothers to send military aid. Upon arrival they were appalled at the liberal practices of the Moors. They immediately began fighting among themselves giving the King and Queen an opportunity to push them (the Moors) off Europe and back to N Africa. This account I gleaned from a PBS special on the Moors. Christians, Jews or any minority living in a Muslim Nation are 2nd class citizens – Treated as such and in some persecuted. Jizya Taqiyya & Kitman are real problems to non believers. All of this made the Reformation workable – no such Reformation is possible w/the Qur’an or the Hadith! No believing Muslim accepts US Law as being not subject to the Qur’an….this is the very same problem Thomas Jefferson and John Adams ran into when they met the emassary of Tripoli in the 1780’s over Piracy. I don’t see how a commited Muslim can be a loyal American as their religion is in direct contrast to our Constitution.